Razer recently launched its Open Source VR intiative, complete with a virtual reality headset to get more developers into the VR game. 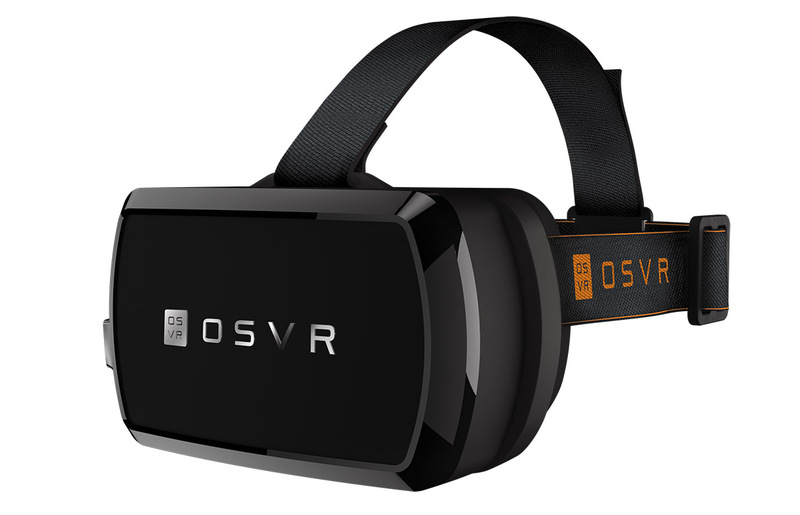 The initial launch notably lacked Android support and positional tracking hardware, but it's now filed those holes with its latest OSVR Hacker Development Kit (HDK) 1.2. The IR system is included in the kit price, including the 100Mhz IR LED system and a camera that provides 360 degrees of position tracking. Previously, Razer included IR position tracking designs and templates, but didn't supply the hardware. On top of Linux and Windows, OSVR now supports Android as well. That'll enable developers to create mobile content and test it with Unity's "Palace" demo. The hardware kit will soon include a mobile faceplate too, which will work in conjunction with the Android SDK to "let developers test their OSVR hardware on Android devices." To use it, developers will just need to swap out the developer headset's default faceplate and replace it with the mobile version when it arrives. Razer also revealed that the new developer kit supports the incoming faceplate with a built-in Leap Motion controller, though that hardware won't be coming until later, either. Also arriving in a future upgrade will be an ultra-wide, 150 degree eyepiece upgrade module. As for the software, the new kit now includes additional documentation and a simpler Windows installer. Razer noted that 144 organizations now belong to the OSVR, and if you're interested in joining them, the new Hacker Development Kit is shipping now for $299. That price includes the IR positional tracking kit, though the hardware won't ship until July. If you own the original $200 version 1.1 HDK, you'll be able to get the IR upgrade for $130. There's no word yet on when the Leap Motion faceplate, mobile faceplate and other new hardware is coming.